Eureka’s April 2019 release schedule has been confirmed today, and is set to feature Billy Wilder’s witty and energetic comedic showpiece starring James Cagney, an intimate and spiritual biopic of one girl’s ultimate test of faith starring Jennifer Jones, and a beautiful and haunting folk tale based on Lapland mythology. One of director Billy Wilder‘s most frenetic comedies, the madcap Cold War and corporate politics satire One, Two, Three has to be one of the only films almost capable of making its Wilder predecessors Some Like It Hot and The Apartment seem sedately paced in comparison. Featuring a hilarious lead performance by James Cagney, One, Two, Three hasn’t always been as famous as Wilder’s other comedies, but it’s among his best. The Masters of Cinema Series is proud to present yet another Billy Wilder masterpiece on Blu-ray for the first time ever in the UK, released on 15 April 2019. One of the rare Hollywood studio films to address spiritual belief and religious conviction in a serious and complex fashion, the beloved classic The Song of Bernadette made a star of its leading lady Jennifer Jones, who won the Academy Award for Best Actress, in addition to taking home a Golden Globe during those awards’ very first ceremony (the film also won Globes for Best Dramatic Film and Best Director). A moving portrait of faith, the film is one of the crowning achievements of director Henry King (Love Is a Many-Splendored Thing). Buoyed by outstanding supporting performances by Vincent Price, Lee J. Cobb, Charles Bickford, and Gladys Cooper, The Song of Bernadette is a profoundly affecting drama, no matter what one’s own personal beliefs. 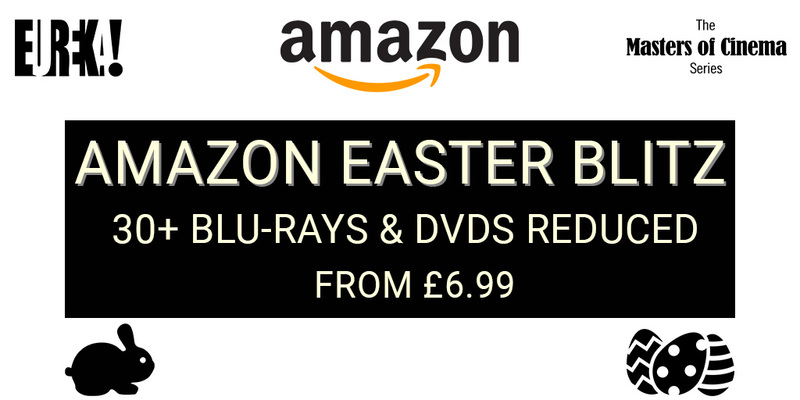 Eureka Classics is proud to present this landmark title in UK debut on Blu-ray, released on 8 April 2019.